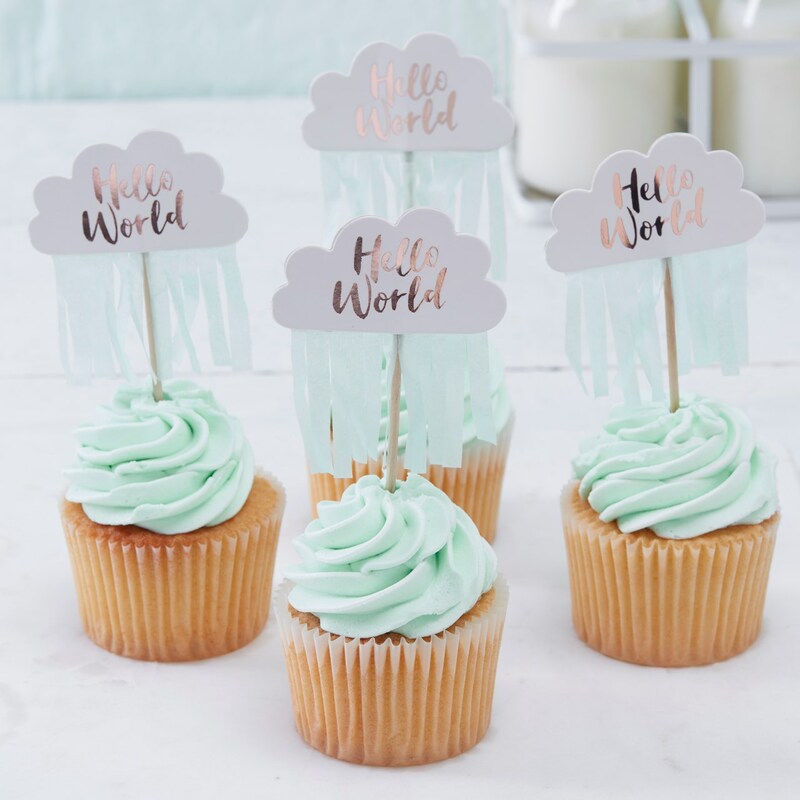 Ensure you have the cutest cupcakes with these amazing cloud shaped Cupcake Picks! Each of the adorable cupcake picks comes complete with rose gold foiling and tissue paper tassels! These unique gender neutral colour cupcake picks will be loved by all guests ensuring your cupcakes get eaten up in minutes! Each pack contains 10 cupcake picks measuring: 60mm (W) x 110mm (H).